Wow! Check that out. I’ve made it to the middle of the year and have actually managed to post a pic every day so far (even though the majority have been gardening pics, which I’m not done with yet). This will be the only time my count up and count down in the title will be the same, so it’s a bit of a milestone. Today I’m sharing two pics of strange things that pop up in our garden in unintended places. 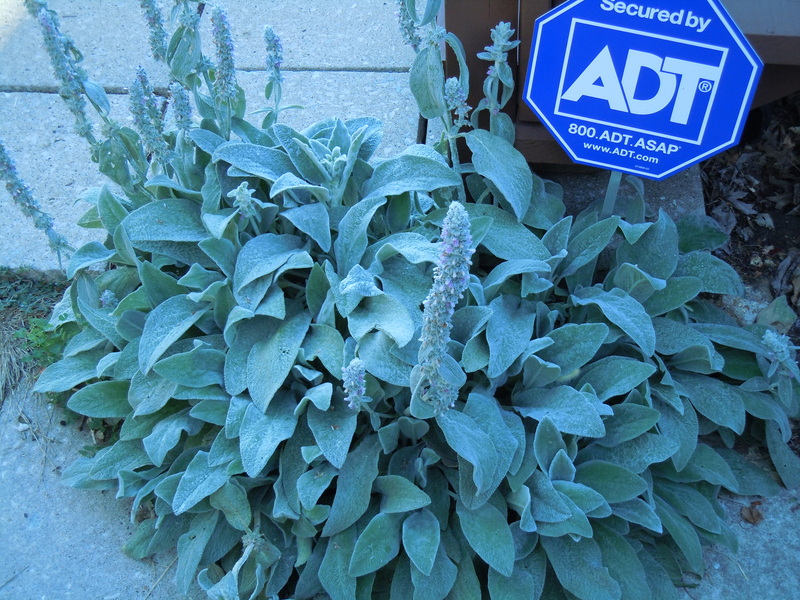 The first is this large lambs ear plant right by our back steps. As you can see, its chosen this tiny tiny spot of soil between the banister and the concrete of the patio to take root. Years ago we had a tomato plant pop up here, but the last couple of years it’s been this lovely lambs ear. We know that lambs ear is very good about spreading it’s seeds around; we often have smaller plants pop up in the yard outside the flower bed. This year I’ve been digging them up and replanting them where I want them, but we’ve left this big guy alone. 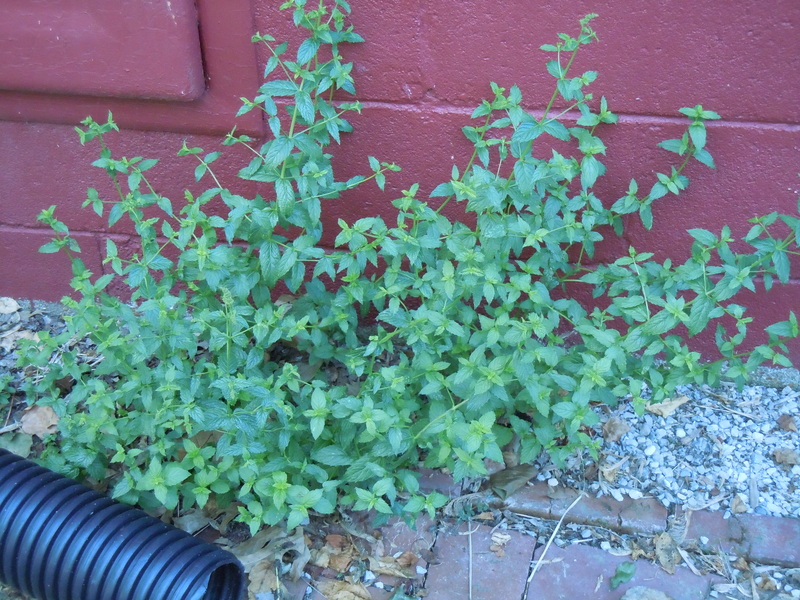 And here’s some mint that grows in gravel between our house and the driveway. Again, we didn’t put it there. It just popped up last year, so we left it. Mint grows like crazy, and we do thin it in the herb garden and plant it between our hostas for height and to control the weeds, but this little peppermint just popped up in the gravel last year, so we left it there. We also have a tomato plant growing between two irises across the yard from our garden. It’s blooming too so it might actually produce.